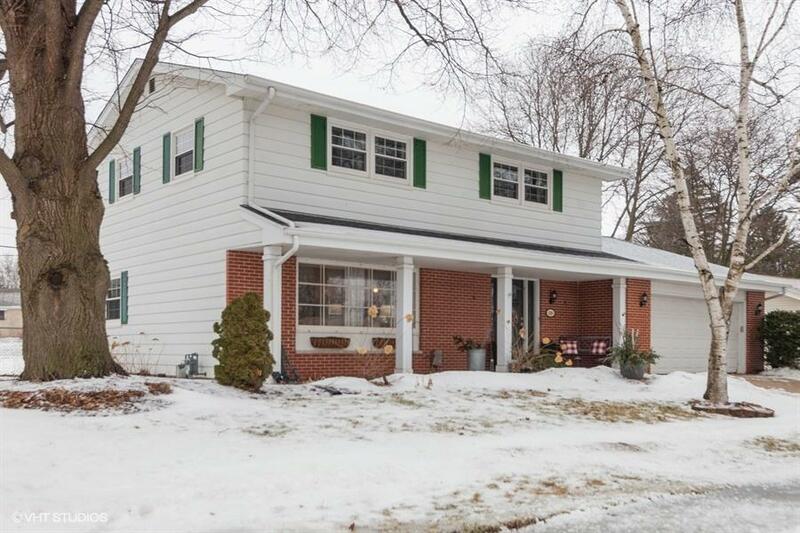 Fantastic opportunity to own a wonderfully maintained & beautifully updated large 4 bedroom Colonial located on a quiet street in great neighborhood. Long time owners have lovingly cared for this Gem. Main floor boast a beautiful kitchen with Granite counter tops, large dinette open to huge family room W/natural fire place and sliding doors to big patio and large fenced yard! First floor laundry, half bath, formal dining room and big living room.. Upstairs is a huge Master bedroom with attached bath/walk in closet, 3 additional good-size bedrooms plus 2nd full bath. LL rec room, and flexibility to finish more space. Plenty of storage/closet space throughout! Waukesha West High School, Conveniently located to many amenities and will not last long... A must-see home!